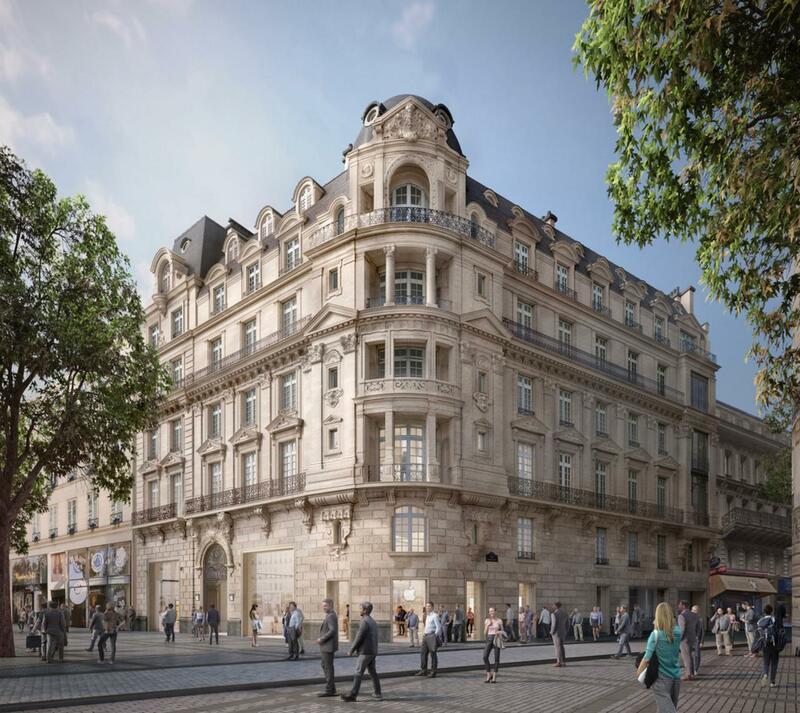 Apple is scheduled to open a brand new store along the Avenue des Champs-Élysées, one of the city’s most iconic avenues known for its theaters, cafés and luxury shops. The new flagship store will replace the nearby Apple Carrousel du Louvre, which closed permanently last month. iPhon.fr reported that grand opening will take place at 12pm local time. The multi-story historic store employs about 200 people. Some employees from the shuttered Apple Carrousel du Louvre will be transitioned to Apple Champs-Élysées at a later date. It’ll sport Apple’s next-generation retail design with a massive video wall, trees, natural light, clean energy and more, with the exterior matching the appearance of the Champs-Élysées. Like with other stores, this location will offer free “Today at Apple” programming. Local customers can sign up for these free sessions by visiting apple.com/today. By the way, Apple throughout October will be running 108 free creative “Today at Apple” sessions, as part of “The Big Draw” festival, across its eight global flagship stores. 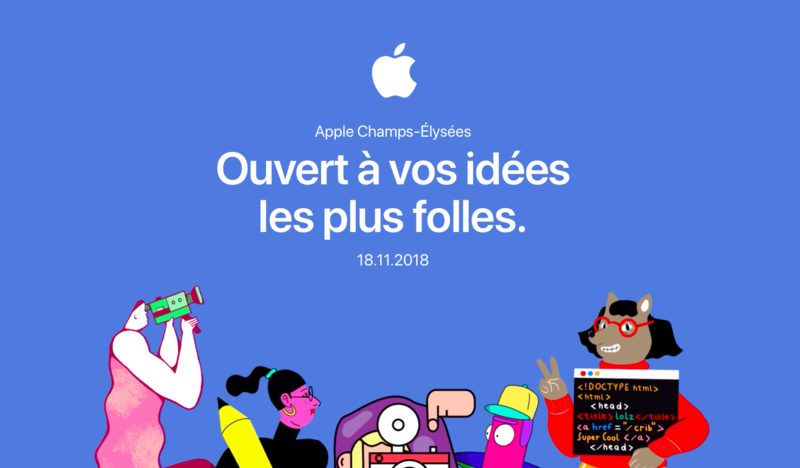 The Cupertino technology giant has set up a special webpage to promote and celebrate the new Paris store, which seems to be a welcome new practice. They did this for some other recent store openings, like the new Piazza Liberty store in Milan that features a dramatic glass fountain forming a breathtaking waterfall entrance. Other upcoming and recent store openings include Apple’s first Thai store (November 10), Japan’s renovated Shibuya store with a glass staircase (October 26), the first Kyoto store (August 25), a renovated Third Street Promenade store, The Westchester store in White Plains (November 10) and the Third Street Promenade store in Santa Monica (November 17). When’s the last time you visited an Apple Store? 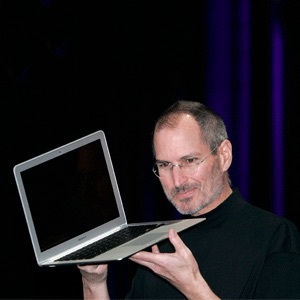 Mind sharing your Apple retail experience with fellow readers in the comments?